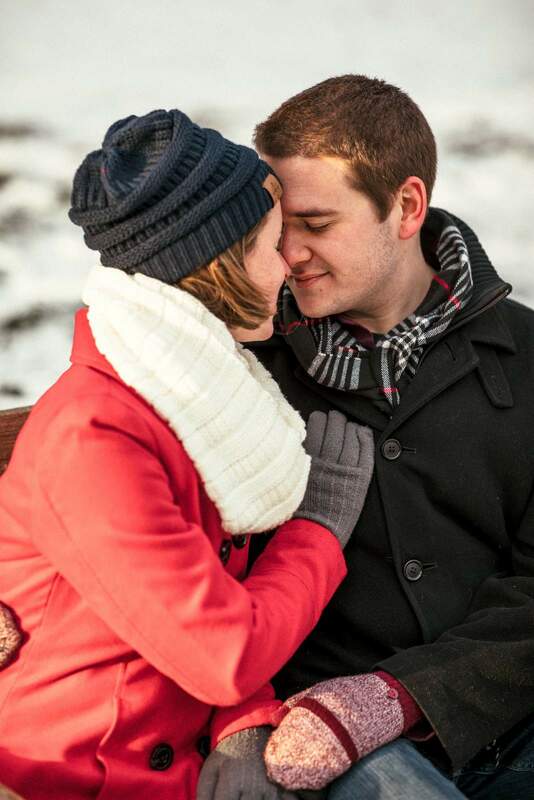 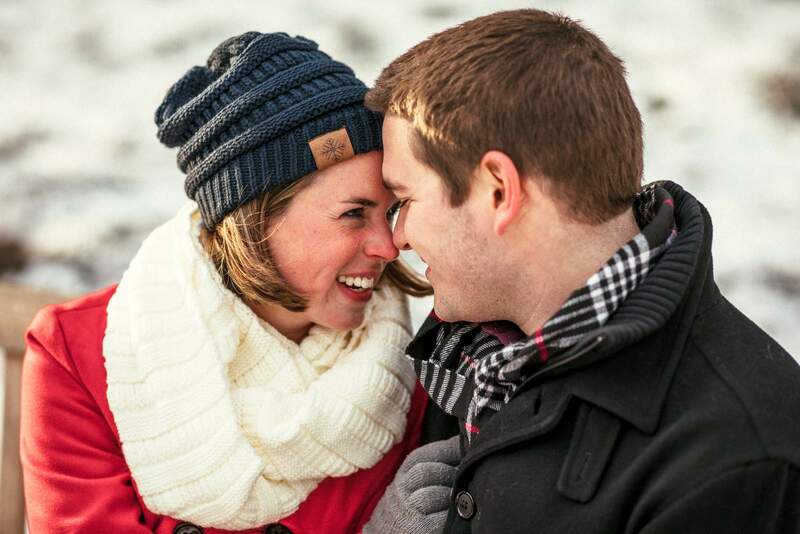 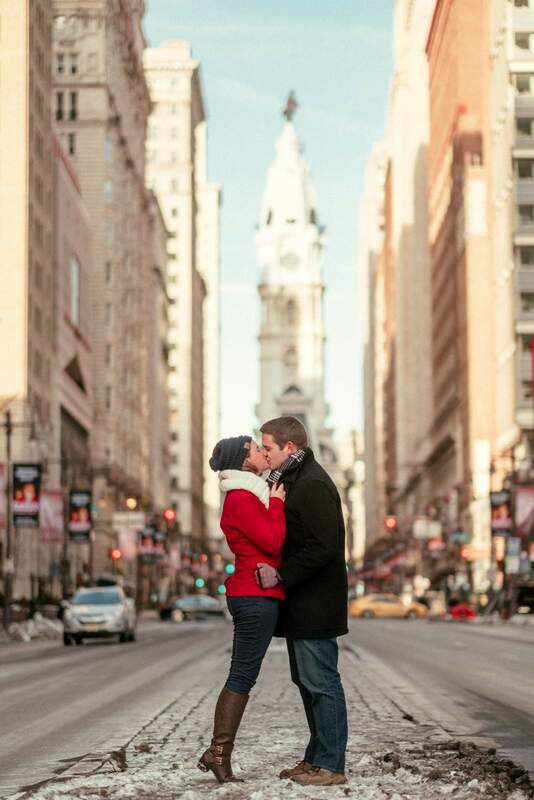 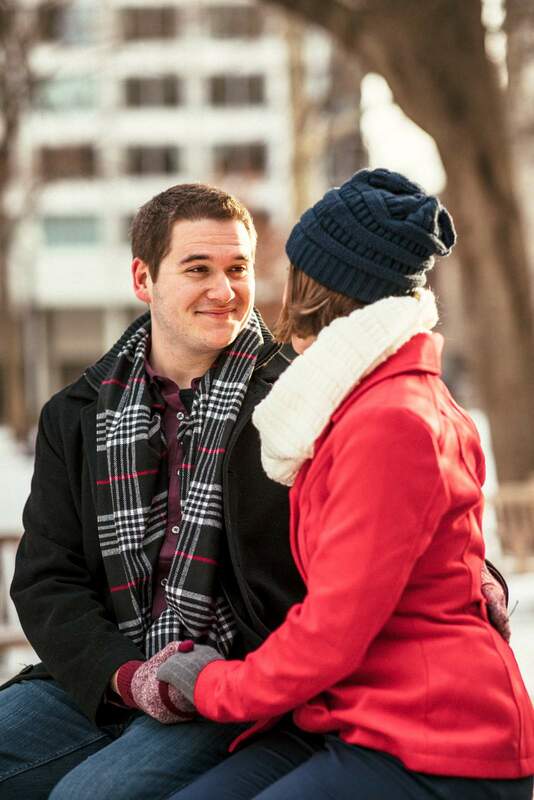 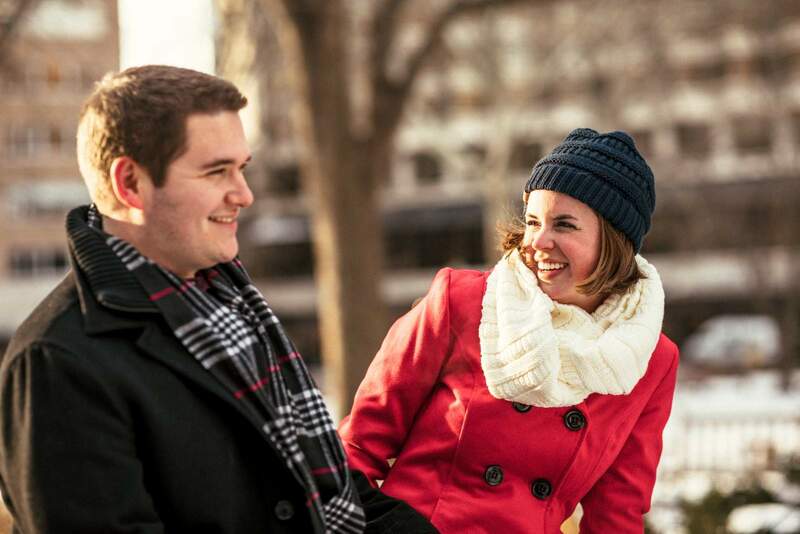 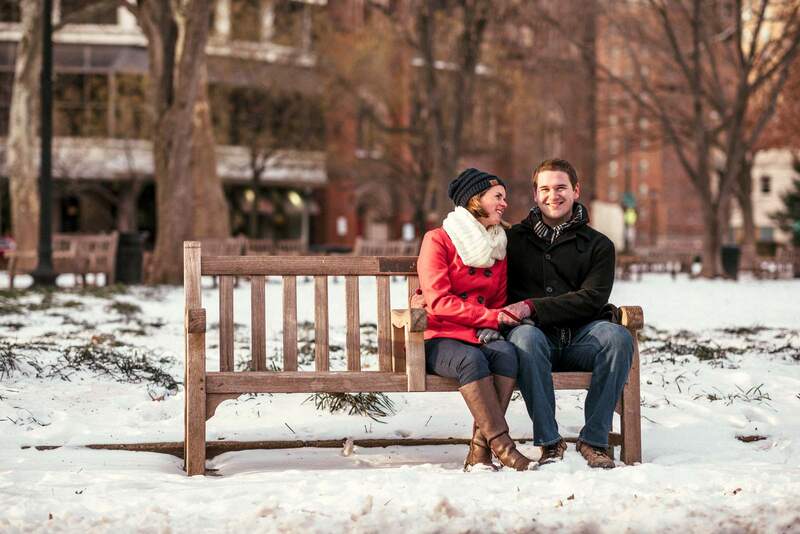 We meet Laura & Ben in Center City Philadelphia for an engagement session on a perfect snowy, though cold, winter day! 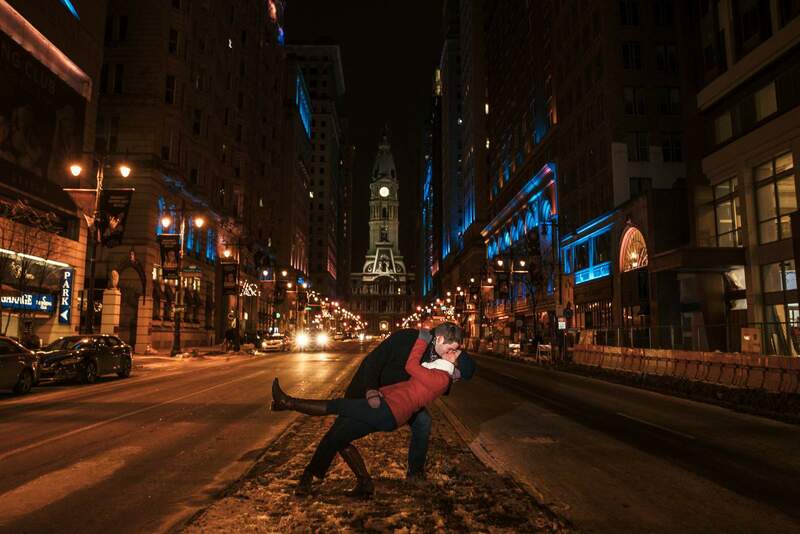 We began the session on South Broad Street with the Philadelphia Courthouse and City Hall in the background for some dramatic images on the median of the road. 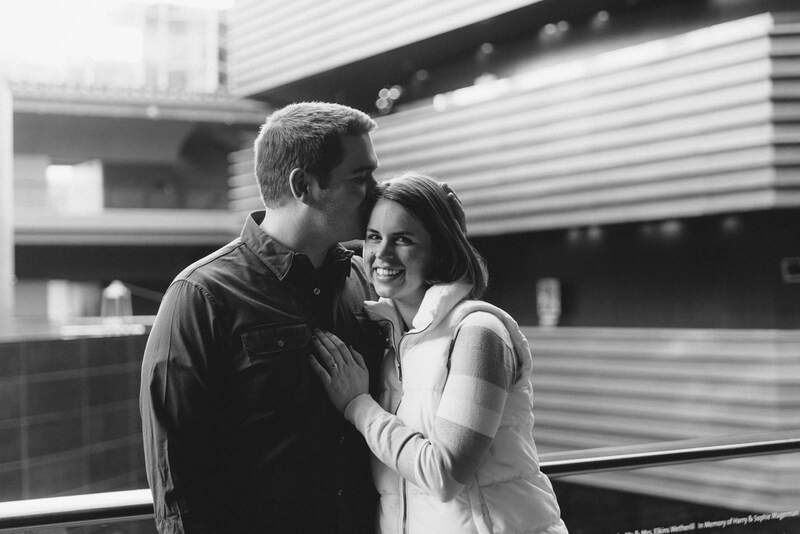 We then hopped inside the Kimmel Center and Merriam Theater to warm up a grab a few awesome silhouettes against the glass ceiling. 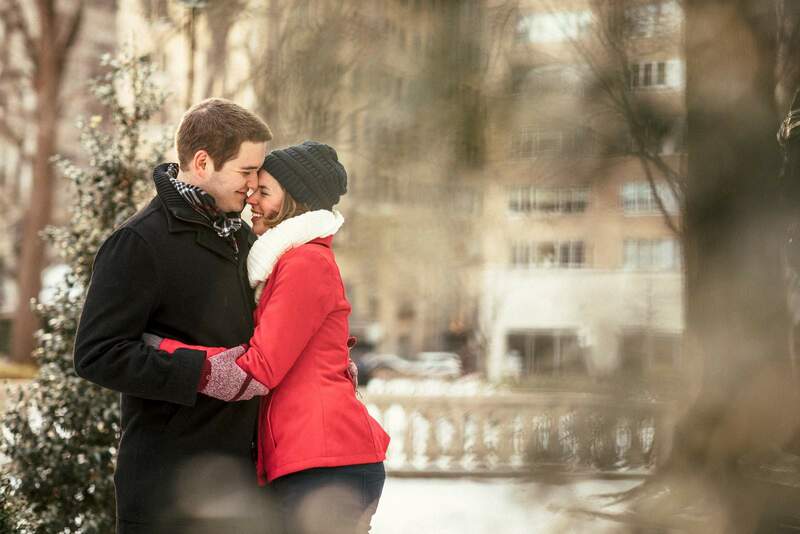 Then, as the sun began to set, we walked a few blocks to Rittenhouse Square and let the couple hold hands, embrace, and laugh with a golden sky in the background. 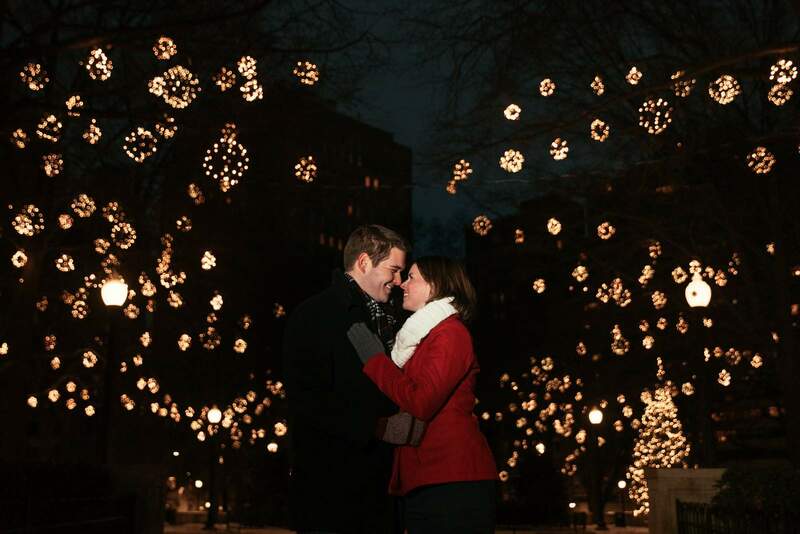 We grabbed a cup of coffee to again warm up while and to allow holiday lights to turn on giving Rittenhouse an almost magical feel. 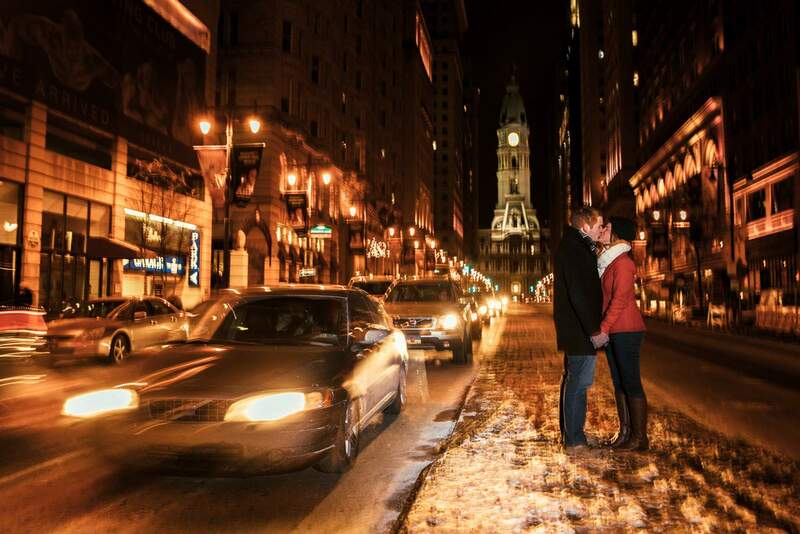 To capture the city lit up behind then, we then walked back over to photograph down broad street one more time and captured one of our favorite photos from the session.! 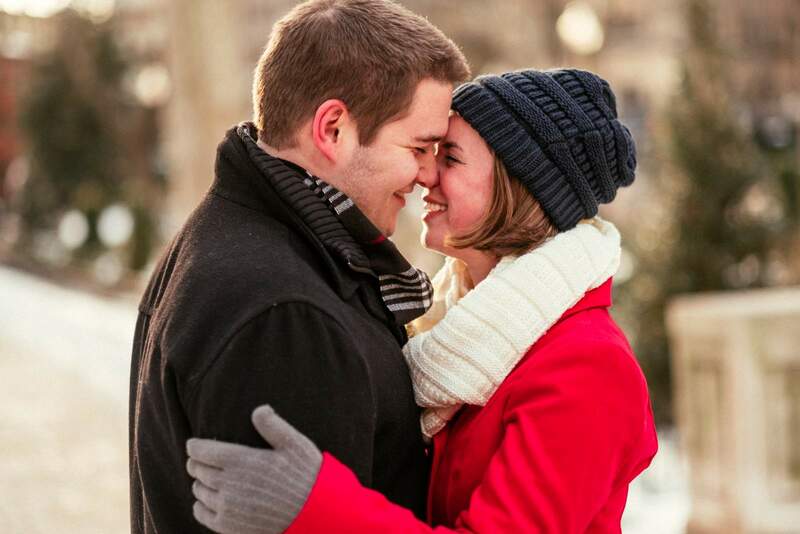 We had an amazing time capturing the connection between the pair and cannot wait photograph their wedding this coming year in central NJ.